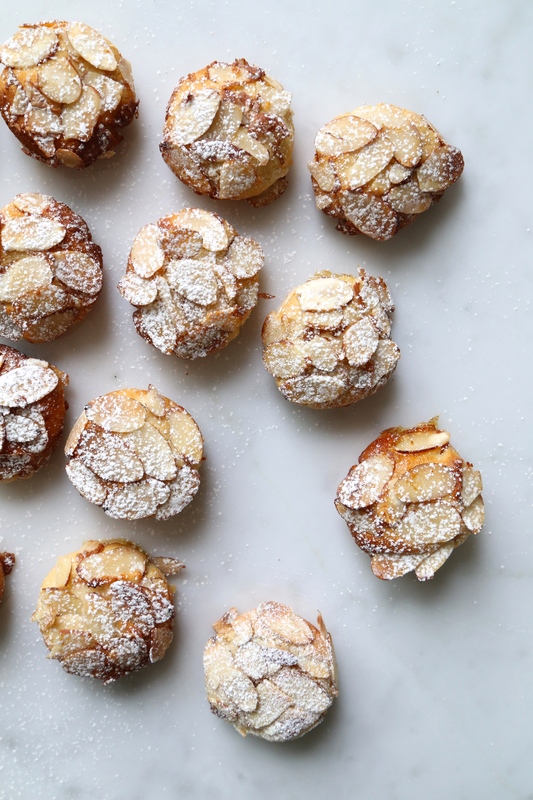 One of my favourite cookies are Italian almond or Amaretti cookies. Almond is my favourite flavour and smell in the world (yes I’m taking it that far) so it was time I made my own recipe. Here is my simple recipe for Honey Almond Cookies. I adapted a classic recipe and swapped white sugar for a more nutritious sweetener, honey. These cookies are soft and chewy on the inside and bursting with the delicious almond flavour. The best part is they are made with almond flour, making them gluten-free and grain-free. Preheat oven to 325°F. Line a baking tray with parchment paper. Whisk one of the egg whites in a small bowl. Place sliced almonds on a plate. Set both aside for later. In a large bowl with an electric mixer, beat remaining three egg whites until stiff peaks form. Fold in the almond extract, vanilla extract, and honey. Fold in the almond flour until mixture is a thick paste. Using a tbsp measure, scoop out dough and roll into a ball. Dip into whisked egg white and then roll into sliced almonds. Place on baking tray. Bake cookies for 15-20 minutes, or until golden. Allow to cool and sprinkle with icing sugar. This entry was posted in Dessert and tagged almond, almond extract, almond flour, cookie, dessert, eggs, gluten-gree, grain-free, holidays, sweets. Bookmark the permalink.